We will look at cycling and the Netherlands more in the second half of this article, but, first, it’s worth looking at why comparing population density in different cities is a tricky business. All too often the starting point is wrong — we compare historic or otherwise inappropriate city administrative boundaries when, for statistical purposes, the international agreed measure of the area of a city is the ‘continuous urban area’. 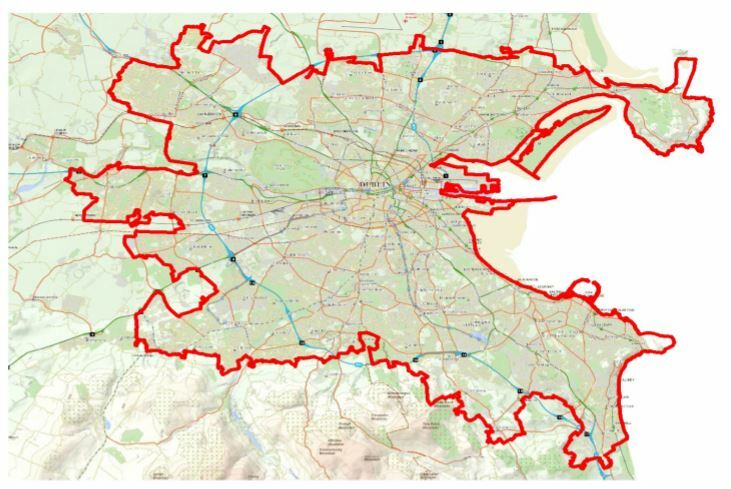 IMAGE: Dublin’s continuous urban area or what the CSO calls Dublin City and Suburbs. Last year, under the headline “Is Dublin a low density city?” we compared Dublin and Amsterdam (the above chart includes slightly corrected stats for the Dublin urban area). In that article, we probably did not focus enough on the continuous urban area — it is essentially what the ‘natural’ city is today, without the restraints of historic boundaries. The CSO calls this area “Dublin City and Suburbs” (see map — it’s mainly inside the M50 and a few areas outside it). 1. Dublin’s suburbs are not all low-density. Having reasonable density in suburbs connected to a city isn’t just important in containing their spread from the city, it’s also key for traveling around those suburbs — to schools, shops, workplaces, and transport hubs. We hear a lot that Dublin is made up of two-storey houses and that’s why it’s not suitable for cycling or public transport or other better services. But, the fact is, too many of us see many European cities as just their urban cores. Amsterdam also has examples of two-story houses (including some near metro / rail stations — which isn’t everyone’s idea of good practice, but also not the end of the world). Mixed types of housing are more realistic and that’s what you’ll find in most of the cities mentioned and in many parts of Dublin’s suburbs. Maybe the continuous urban area approach is wrong? 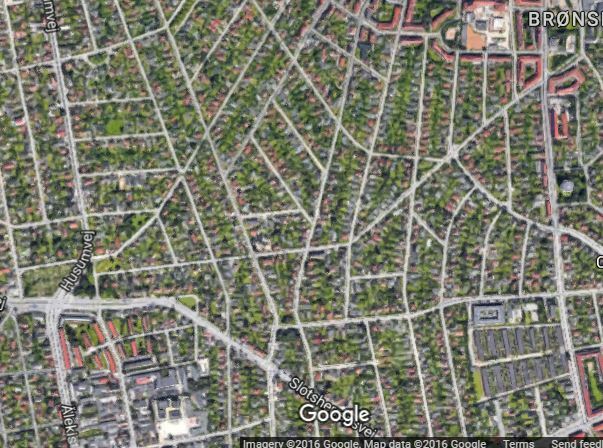 What if the continuous urban area approach is wrong? Well, looking at the city boundaries makes the cycling and density differences between Dublin and Amsterdam change little in the grand scheme of things. The above chart is of data from within city boundaries or administrative areas. If there was a firm linear link between higher density and cycling, Copenhagen should have a notability larger share of cycling. But most measures, at best, put Copenhagen and Amsterdam around the same percentage of transport modal share for cycling. In different years, different news headlines put one city or the other ahead. There are different measurements, but the cities claim that 40% or more of city residents cycle (that drops under 30% when a wider area is looked at). The Dutch cycling-friendly commuter town of Houten (population of nearly 50,000) has a population density of just 875/km2. Data is harder to confirm for some mid-sized Dutch cities which looks at the continuous urban areas, but while even among these it’s not clear that there is a direct relationship between density and cycling, very high density is clearly not required. Looking at just the city boundaries of both Cork in the south of Ireland and Utrecht in the centre of the Netherlands: Cork City with a density of 3,194.18/km2 is somewhat comparable with Utrecht with a density of 3,507/km2, but their levels of cycling is starkly different — ~3% in Cork compared to around 30-40% in Utrecht. Higher population density likely helps with cycling, but we’re not talking about the level of population density of mega cities. Density is not as important as some people claim, the density of Dublin is already very comparable to Amsterdam, and Cork is comparable to Utrecht. We can also see that low density places can be cycling friendly, so density is not close to a main factor holding back Irish towns and cities.